January 15th - Green Light — This is Lit! As we enter a new orbit around the sun, it’s a time for looking to the future. We here at This is Lit! are no different. The future can be a scary thing, but don’t worry! We have plenty of exciting plans for this podcast. It’s also a time a year to reflect on the past. I’m not going to lie to you, dear audience. This past year has been rough for both of your hosts. There has been a myriad of things that have gone wrong. “I’ve seen some things go wrong.” She leaned against the wall in the pouring rain. Her eyes grew distant with the ghosts of her past. The cigarette in her had received an unenthusiastic flick. The dying embers were reminiscent of the light that once graced her eyes. Something bright and deadly now extinguished forever. To quote Rafiki, the past can hurt. But the way I see it, you can either run from it, or learn from it. The turning of the year reminds us all that the past is gone and can’t hurt us anymore. It can be a nice place to visit from time to time, but by no means is it a safe place to live. 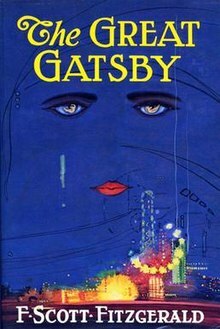 The past is a heavy topic in The Great Gatsby by F. Scott Fitzgerald. Nick Caraway moves to Long Island for the summer of 1922. There, he befriends a man named Jay Gatsby. His past is a mystery. The wild parties he throws are constant and extravagant. And Gatsby has his sights set on Nick’s cousin, the lovely Daisy Buchanan. Will the past catch up with them all?